The ignition switch and lock cylinder is typically mounted on the steering column and actuated by an ignition key. 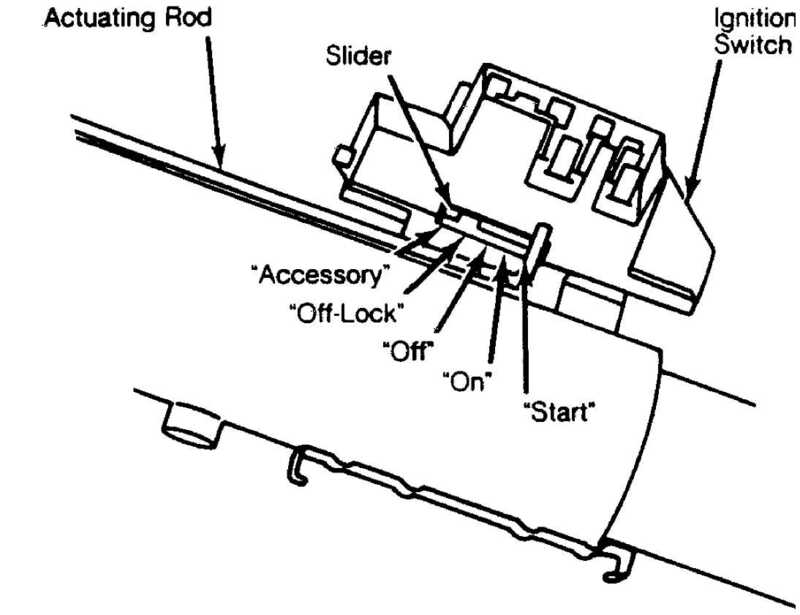 To gain access to ignition components on Jeep vehicles, the steering column must be removed or lowered and the turn signal switch must be removed. remove snap ring without using a compressor tool. If the steering shaft has standard threads, use Compressor Tool (J-23653); if the shaft has metric threads use Metric Forcing Screw (J-23653-4). CAUTION: Special care must be taken to avoid bumping, jolting or hammering on the steering shaft and gearshift tube. "OFF-LOCK" position. Compress lock cylinder retaining tab using a thin bladed screwdriver and remove lock cylinder. Fig. 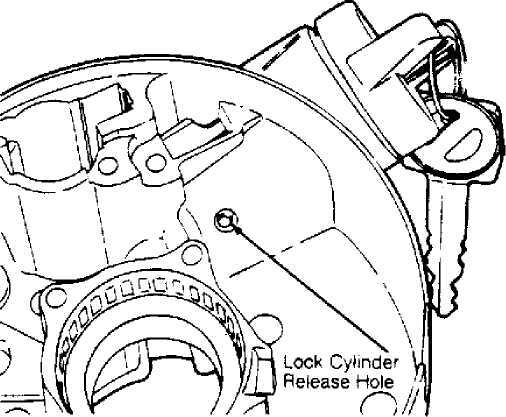 1: Typical Column Type Ignition Switch Lock Cylinder Removal On most vehicles, push in to release lock retainer. clockwise until key stops. Insert cylinder lock into bore with cylinder tab aligned with keyway in housing. Push cylinder in until it bottoms. Rotate cylinder counterclockwise to engage lock sector, and push in until cylinder tab engages in housing groove. Lower column and remove switch mounting screws. Disconnect harness connector. Remove switch. Move switch slider to "ACC" position. Move switch slider back 2 clicks to "OFF-UNLOCK" position. Insert remote rod in switch slider, and position switch on column. Do not move slider. Install and tighten screws.